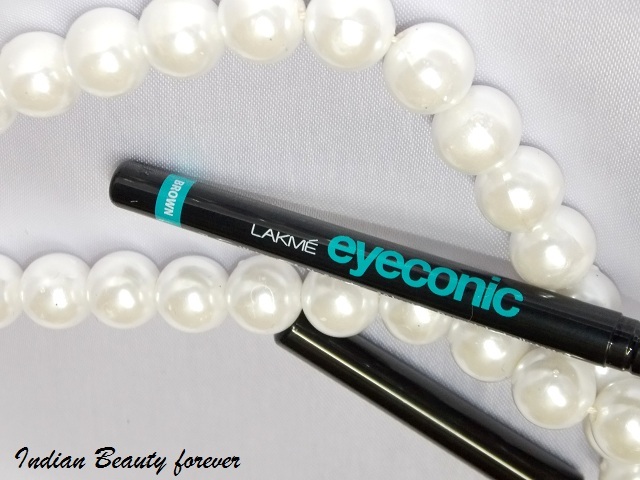 Ever since Eyeconic kajal have been launched by Lakme in a variety of shades, they have paved a way for flaunting colored kajal with Lakme being a very popular brand in India that appeals to masses and classes. 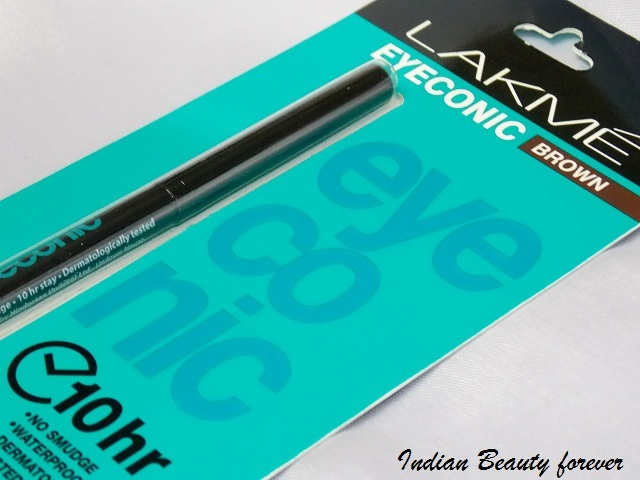 I am going to review and swatch Lakme Eyeconic kajal in Brown in this post. 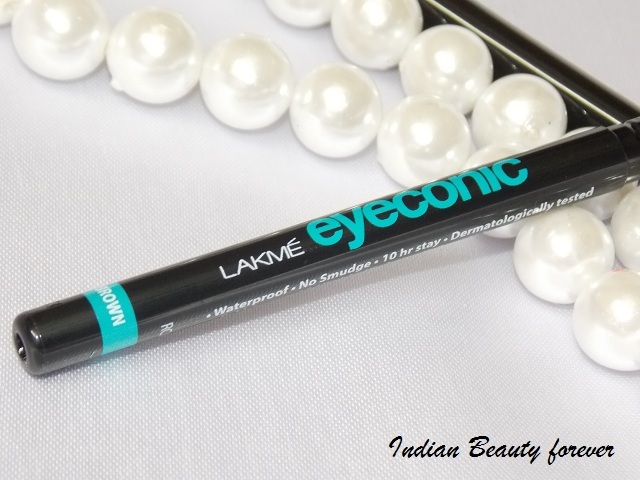 Experience: This kajal comes in a retractable packaging which I would prefer any day as they save time that you may not want to waste on while sharpening especially when you are in rush for college, work etc. But then, there can be a minor drawback if you are using them as an eyeliner, the tip gets blunt and will remain the same. 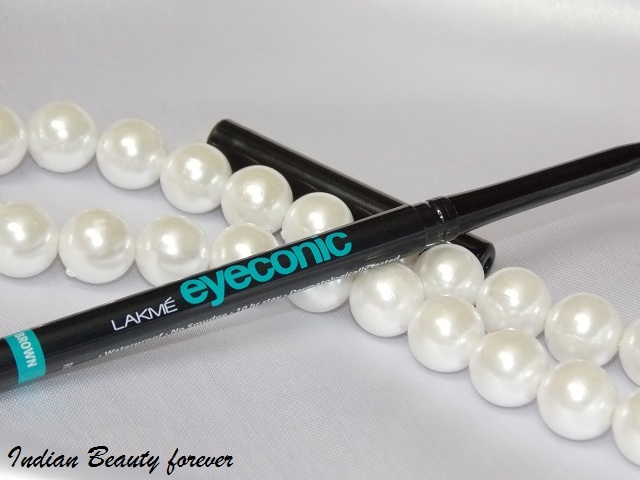 If used as a kajal, No worries, blunt or not, it’s not going to effect. 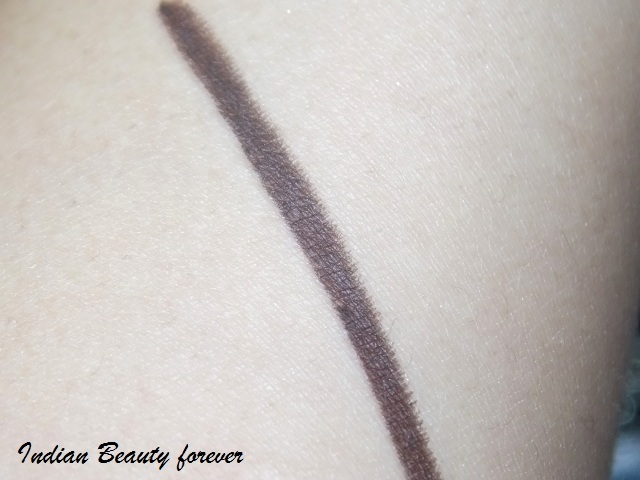 Just a tip here, If you are using retractable tube eyeliners that has got blunt and starts to give rounded thick line at the edges, like in the outer wings especially. You can try this little trick. 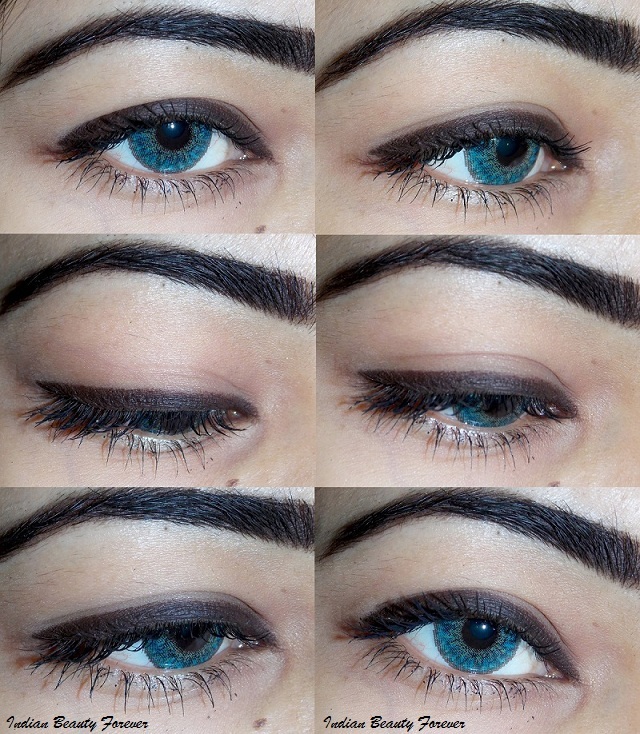 Take an eyeliner brush and rub it on the blunt end of the kajal or the eyeliner pencil and then draw the wing. You will get a sharp crisp line as if made with a gel eyeliner. 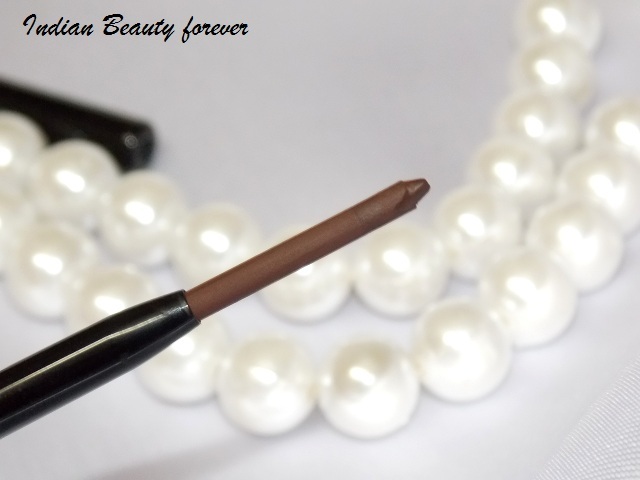 The Eyeconic kajal brown is very creamy, just like the other shades from the range. Once they set that takes about 2-3 minutes, they become smudge proof to most of the extent. If you will pat the eyeliner then it may leave light impression but don’t worry, it’ll not turn you into a raccoon. As a kajal it did well. It’ll not come down below the waterline, except for the times when I had watery eyes. It stays for around 7 hours. 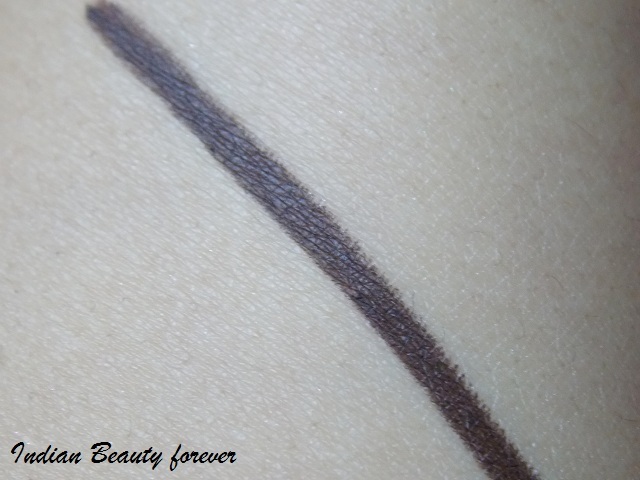 When I use it as eyeliner, it stays for the entire day, but at times it will leave impression on my crease if I haven’t given it enough time to set. So, you better watch it! Pigmentation is very good, just two swipes and you get a rich dark color. By the way, Did you see my new contacts? I received them two days ago from lensvillage.com for review purpose. 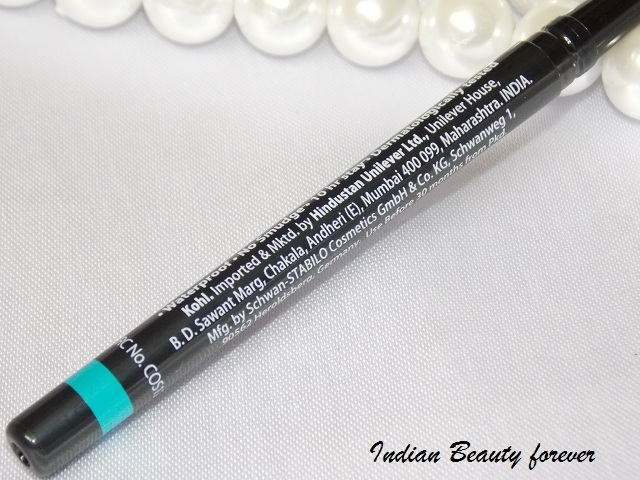 Overall, at this price and considering other aspects, this kajal is a hit for me! I am now, left with two more shades, blue and grey which I’m going to wrap up in a single post. As eyeliner, it can fade a bit and may leave impression on the crease if not given enough time to set. Take: Lakme eye conic kajal in the shade brown is a very dark rich looking brown that can be used both as eyeliner and a kajal. It fared well as both. Its price and pigmentation with that retractable packaging definitely makes it a hit. Though brown can be a lesser visible shade for dusky skin, for that they can go for shades like blue and green which will look better on them. I will recommend them highly.